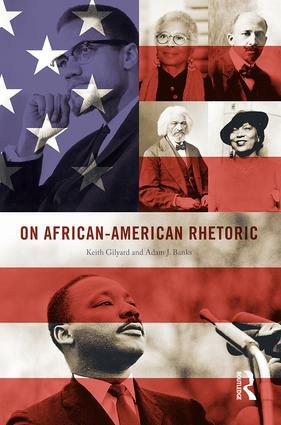 On African-American Rhetoric traces the arc of strategic language use by African Americans from rhetorical forms such as slave narratives and the spirituals to Black digital expression and contemporary activism. The governing idea is to illustrate the basic call-response process of African-American culture and to demonstrate how this dynamic has been and continues to be central to the language used by African Americans to make collective cultural and political statements. Ranging across genres and disciplines, including rhetorical theory, poetry, fiction, folklore, speeches, music, film, pedagogy, and memes, Gilyard and Banks consider language developments that have occurred both inside and outside of organizations and institutions. Along with paying attention to recent events, this book incorporates discussion of important forerunners who have carried the rhetorical baton. These include Frederick Douglass, Harriet Jacobs, Sojourner Truth, Anna Julia Cooper, W. E. B. Du Bois, Zora Neale Hurston, Malcolm X, Martin Luther King, Jr., Toni Cade Bambara, Molefi Asante, Alice Walker, and Geneva Smitherman. Written for students and professionals alike, this book is powerful and instructive regarding the long African-American quest for freedom and dignity. Keith Gilyard works at The Pennsylvania State University, where he is the Edwin Erle Sparks Professor of English and African-American Studies and Senior Faculty Mentor in the Office of Educational Equity. His books include Voices of the Self: A Study of Language Competence (1991) and True to the Language Game: African American Discourse, Cultural Politics, and Pedagogy (2011). Adam J. Banks is Professor and Faculty Director, Program in Writing and Rhetoric at Stanford University. Previous books include Race, Rhetoric, and Technology: Searching for Higher Ground (2006) and Digital Griots: African American Rhetoric in a Multimedia Age (2011).